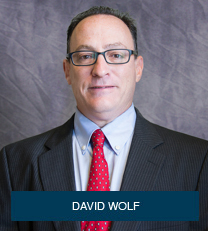 David Wolf is the author of a number of books that focus on child injury and personal injury issues and matters. The books were written for parents, family members, and caregivers dealing with the aftermath of a child personal injury OR just seeking information regarding child safety and injury matters. David Wolf was raised by parents who were both public school teachers. As such, he was taught early on about the importance of respect, safety, and education of children. Prior to law school, David Wolf worked as a camp counselor at a public park operated by a county, a private summer day camp, and a private sleep away camp. Upon graduation from law school, he volunteered to serve as a Big Brother in the Big Brother and Big Sister Program where he was matched with a child without a father figure in his life. Several years later when David’s own children were old enough to participate in youth sports, David volunteered to serve as a coach, team manager, parent communicator, and board member for a local soccer organization that grew to be one of the largest youth soccer organizations in the region. He also volunteered to serve in various capacities including Vice President, Treasurer, and Secretary for the Board of the Directors of the Jewish Community Alliance which houses a year round pre-school and kindergarten as well as a summer camp. As such, David’s commitment to child safety issues extends well beyond the practice of law and his various books and articles. The injury books were written with the goal and purpose of educating parents as to the issues and challenges that arise when a child is injured due to the negligence or fault of a person, business, or government entity. David Wolf firmly believes in Giving a Voice to Injured Children and Their Families. Each book is available for free. Please contact David Wolf through the Contact Page on this Website to request any of the books OR if you have a particular question or issue about a child injury or child safety matter. David Wolf is available to his clients, prospective clients, and others seeking information and help days, nights, and weekends.